Animal Crossing: Pocket Camp has earned $50 million worldwide since its launch last November. Sensor Tower reports that it took the mobile version of the long-running life sim two months longer than Super Mario: Run to reach the $50 million milestone. Pocket Camp has been installed been more than 25 million times so far. 81 per cent of Pocket Camp revenue came from its home market of Japan, making up a staggering majority. The US follows at 14 per cent. 61 per cent of player spend came from iOS devices. 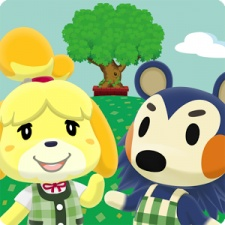 Earlier this year, Pocket Camp was entered into the Google Play Excellence program alongside six other games. The list highlighted Android games that are well-optimised for the platform and showcase new features. Both Animal Crossing and Super Mario Run are still leagues behind Fire Emblem: Heroes, however. The mobile strategy has earned over $417 million in worldwide revenue. But despite success through free-to-play, Nintendo’s Shigeru Miyamoto is committed to making premium games viable on mobile.